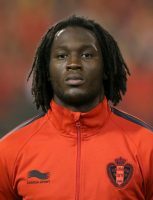 Everton striker Romelu Lukaku has recently been linked with a return to former club Chelsea according to Nodeposit.com, during the summer transfer window. Lukaku moved to Goodison Park for a club record £28 million in 2014 after impressing during a season-long loan spell with the Toffees the previous year. Chelsea subsequently made a profit of £18 million from the Belgian, who made just 15 appearances in all competitions at Stamford Bridge after arriving from Anderlecht as an 18-year-old. Therefore, it would certainly cost Antonio Conte a lot more to bring back a player not even guaranteed regular first-team football, with the likes of Diego Costa, Loic Remy and new signing Michy Batshuayi already at the Italian’s disposal. First of all, Lukaku’s strongest position is leading the line as the lone striker but, even if Conte sticks with the 4-2-3-1 formation that was preferred under Jose Mourinho, it is likely that opportunities would be limited with Costa still the main candidate in the number nine role for the Blues. Not only that but, should speculation of a bid for Paris Saint-Germain’s Edinson Cavani become a reality, he would surely be pushed even further down the pecking order by the Uruguayan’s arrival. Of course, the alternative would be for Conte to opt for multiple strikers by introducing the traditional Italian 3-5-2 formation. However, while that would certainly increase the 23-year-old’s chances of featuring more often, it is still unlikely that he would play alongside Costa as their physical styles are too similar and would not gel. Also, playing as part a two-man attack, which Lukaku is not generally accustomed to, means that he would not be able to play to his strengths and, therefore, his impact on matches would not be as effective. In addition, with no European football in West London this season and full focus on the Premier League, barring injuries, squad rotation would be minimum as Conte will want to launch a strong, genuine title challenge and would look to use his strongest starting 11 as often as possible which, despite the genuine quality and physical prowess he possesses, is unlikely to include Lukaku. Overall, all things considered, Chelsea re-signing Romelu Lukaku from Everton would be a bad idea.